Bloggerinos! Frantic to get some shopping done? Still have to buy gifts for your boyfriend/girlfriend, brother/sister, dog/cat etc?! Here’s some graphic novel and figure suggestions for this holiday season, for all your human family and friends! Midtown Bloggerinos! It’s AvX time again! 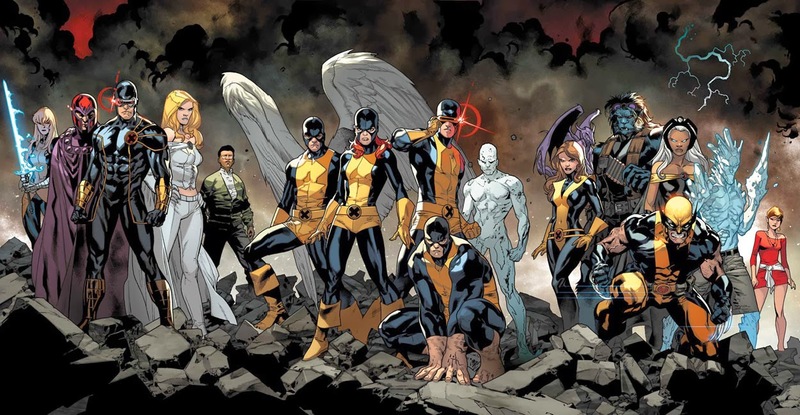 This week, I got to ask Nick Lowe, editor of the X-Men books, about his own take on this massive crossover. Enjoy! Midtown Bloggerinos! Raph here, and it’s main event time over at Marvel! 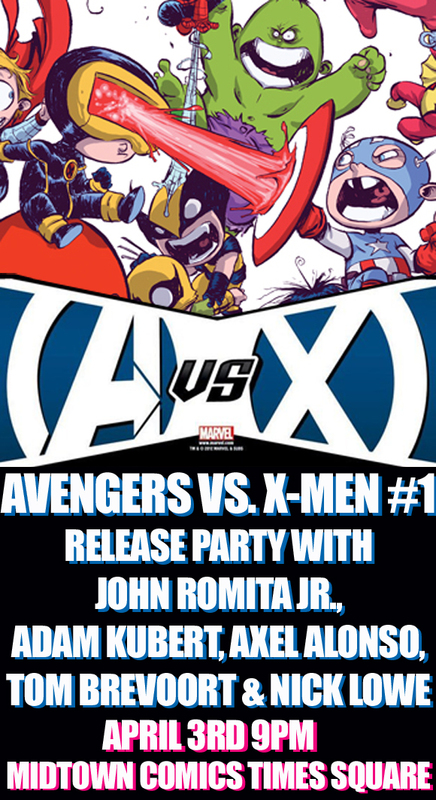 The big story is AvX: Avengers vs. X-Men! Two of the biggest franchises Marvel has duking it out! Place yer bets folks! I got the opportunity again to speak with someone at Marvel as the drama unfolds. First up is Tom Brevoort, Executive Editor and SVP of Publishing! Midtown Bloggageddons! Raph here, and this time I got to talk with Allan Heinberg about the conclusion of Avengers: Children’s Crusade. Haven’t read it yet? It’s in stores now! It’s going to have major repercussions for the Marvel U, and specifically AvX… so here we go! CHECK OUT OUR FACEBOOK EVENT PAGE FOR ALL THE DETAILS!